In mid-April 2018, several segments along Corral Hollow Road was closed for specific intervals of time to construct utility connections for new development in south Tracy, including Phase 1 of the Tracy Hills master-planned community. In November 2017, Integral Communities – the developer owning 4,700 of the residential units and approximately 277 acres of industrial/commercial uses for Tracy Hills – began grading for Phase 1A, which will have 1,139 residential units and 50 acres of a mixed-use business park. Phase 1A requires new water lines on or adjacent to Corral Hollow Road that will connect to the City of Tracy’s Water Treatment Plant, south of the Tracy Airport as well as a sewer line connecting to the end of the City’s sewer main line at Parkside Drive. In order to shorten the length of this utility construction as well as create the safest environment for workers and travelers along the heavily traveled Corral Hollow Road corridor, Integral Communities obtained approval from the City of Tracy and San Joaquin County to temporarily close the road in phases. The overall project is nearing completion. On Friday, April 19, 2019, crews will begin excavating the sewer structure at Parkside Drive, which will take approximately 10 days to complete (subject to change). In an effort to minimize traffic impacts to local schools, neighbors and motorists, the City of Tracy purposely scheduled this work during Tracy Unified School District’s Spring Break (April 19-28). 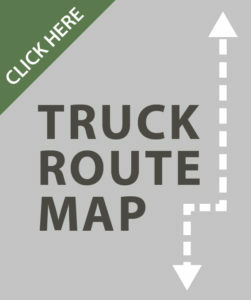 Work activities will require a road closure and detour (see map) for the safety of construction workers. Crews still need to slurry seal Corral Hollow Road from Parkside Drive to W. Linne Road, followed by striping. This work was delayed due to weather constraints and is now expected to be complete by late spring/early summer 2019. Pending work may require a road closure or detour. 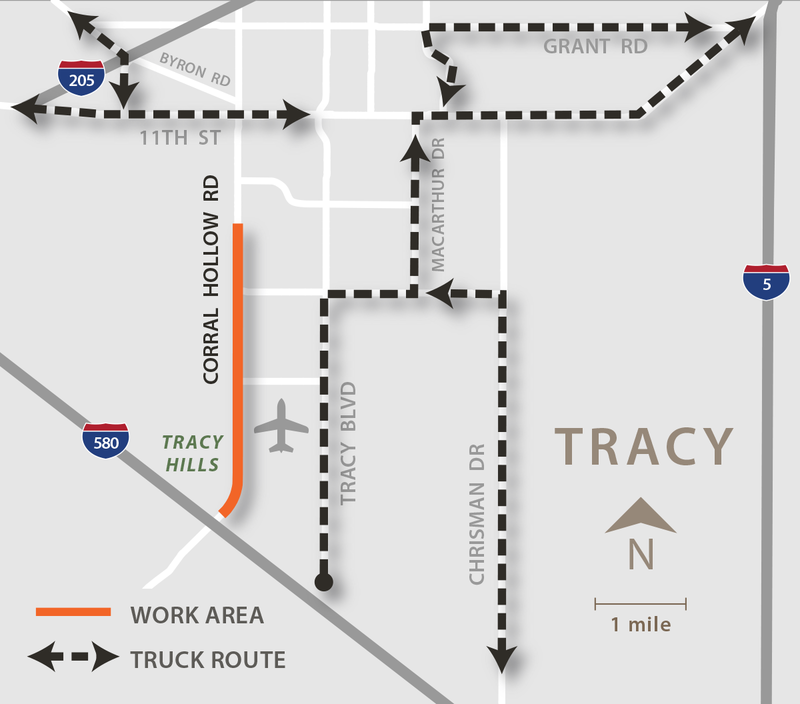 Beginning January 2019, the City of Tracy will reconstruct Corral Hollow Road north of Linne Road to the current point where it is four lanes as well as add a traffic signal at the intersection of Valpico Road and Corral Hollow Road. Then in about three years, the City will add another traffic signal at the intersection of Linne Road and Corral Hollow Road. The City is in the process of designing the widening of Corral Hollow south of Linne Road and plans to reconstruct this section in approximately five years unless project funding is acquired sooner.